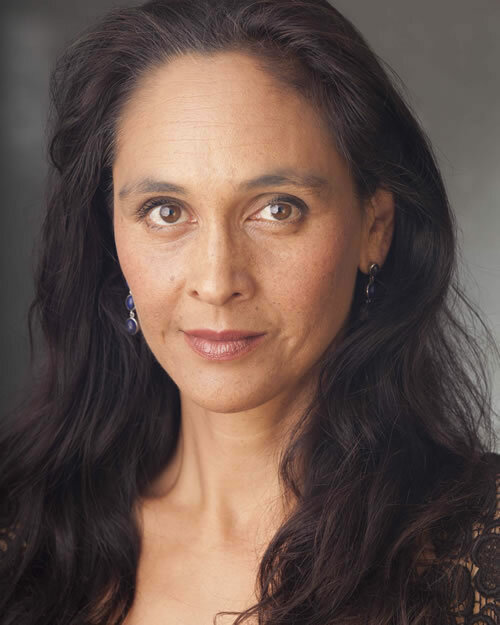 Eliane Morel is Australian born of mixed Vietnamese, French English heritage (though she has often been mistaken for Pacific Islander/Maori, Italian, Spanish or South American!). Her middle name is Anh Xuan. Born in Peth and raised in Canberra (where she won a scholarship to study singing at the Canberra School of Music), Eliane moved to Sydney in her twenties to complete an Honours degree in Theatre at UNSW, the Playwrights’ course at NIDA, and continue her singing studies with Susan Reppion-Brooke and Ghillian Sullivan. Since then, Eliane has become an accomplished comedienne, opera singer and actor, with an emphasis on multicultural theatre and a love of accents, which she can master to a very high standard. Eliane has been touring NSW high schools with three shows in repertory for Starrs Productions: “Women in Shakespeare” - a two-hander featuring some of Shakespeare’s most complex female characters (in which Eliane has the pleasure of playing Shakespeare himself, Demetrius, Bottom, Cleopatra, Olivia, Juliet’s Nurse, Gertrude, Portia and Puck! ); “The Lucky Country”, a solo show exploring post WWII migration to Australia and featuring 6 diverse characters of English, Italian, Lebanese Muslim, ex-Yugoslavian, Indian and Vietnamese backgrounds; and “Letters from France” another powerful solo piece based on the exquisite poetry and letters home of World War I poet, Wilfred Owen. Eliane has performed as an actor and singer for The Citymoon Vietnamese Australian Theatre, Kantanka Theatre and the Asian Australian Artists’ Association, and has also devised many of her own pieces including “Ba Ngoai”, a show about her Vietnamese grandmother (made possible by an Australia Council grant) and “All Night Long” featuring the talents of bogus Feng Shui expert from Hong Kong, Madam Long. She has also worked for the Arts Health Institute as a ‘humour valet’ providing humour therapy to nursing home residents with dementia. Eliane has appeared with Pacific Opera, the Jubilate Singers, and has toured Indonesia in the show “Shadows”, with the renowned singer/songwriter Sawung Jabo. More recently, she has been working as a concert singer throughout Sydney and regional New South Wales. She has performed in several concerts for Newcastle Festival Opera including a joint production with Newcastle Musica Viva, as well as numerous concerts for Sydney and South Coast seniors – in both nursing homes and public venues, most recently at Bondi Pavilion. In late 2015, Eliane shared the limelight on “Tell Me the Truth about Love” with Bill Hawkey (OAM) in Bega and Naroma, and went to Cuba to sing at the International Choral Festival with her choir, Voices from the Vacant Lot.